Keep it colorful this season with this hella cute swing dress. 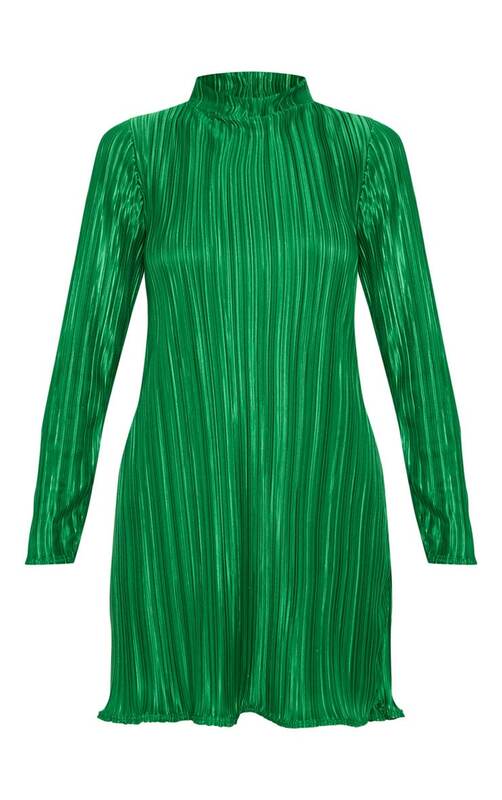 Featuring a green plisse fabric with an on trend high neck and loose fit, what's not love? Style with barely there heels for a look we're obsessing over.